In this Blog, we examine and recommend a fantastic, free-to-use tool on the web that is great for checking the safety ratings, complaints, and “known issues” for any car. 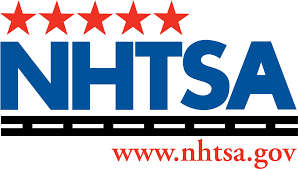 We are referring to the excellent NHTSA (National Highway Traffic Safety Administration) website, one of the most user friendly and data-rich automotive resources available today. The US Government maintains this excellent online repository, and of course it’s free for anyone to utilize. Ford, Honda, Volkwagen, GMC – they’re all here. Want to check the safety rating of a vehicle you own, or are thinking about purchasing? How about open recalls? Consumer complaints? Yes, they’re all here, in one easy to use, user friendly layout. Upon landing at the NHTSA website home page, you’ll be presented with an easy to navigate, clutter free menu. The first two menu choices – Ratings and Recalls – are where you’ll want to start. Click “Ratings” and enter the year, make and model in the large search box. You’ll be presented with a list of available models / options. By clicking on the correct model, you’ll enter the database itself, where you’ll be presented with a plethora of useful information, ranging from safety ratings, recalls, complaints, and investigations. You may also search by VIN number of the vehicle. We highly recommend savvy car owners to utilize this website. We were especially impressed with the vast amount of data available that is presented in a well laid-out, user friendly format. All of the information you’d ever want relating to a particular automobile can be easily located on this excellent, free-to-use online resource. Please remember : if you have a vehicle AND it is under the manufacturer’s warranty, you are entitled to fair treatment and getting the problem fixed in a timely manner. We at the California Lemon Law Expert can help! In many cases, the manufacturer will repurchase your vehicle, and may even have to pay civil penalties and or reimbursement of your expenses. It helps to understand your rights as a consumer, and the California Lemon Law expert is here to help you or someone you may know who is in this situation. If your vehicle is not functioning properly and is under warranty, you have rights under the law that you need to thoroughly understand. Call us today for a free, no charge consultation at 916-672-8443.